"Five, six, seven, eight." 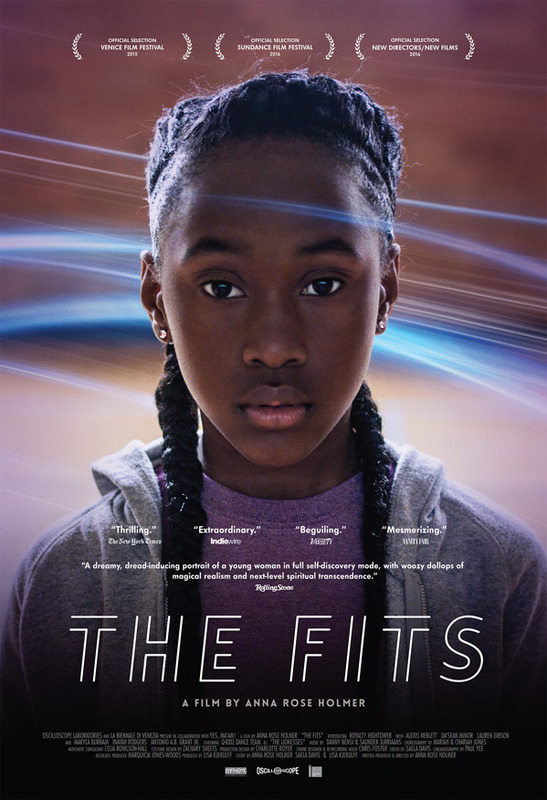 Oscilloscope Labs has unveiled the first official trailer for Anna Rose Holmer's The Fits, an outstanding indie film that has been playing at festivals all over the world to plenty of acclaim. The Fits stars newcomer Royalty Hightower as Toni, an 11-year-old tomboy girl who starts to notice older girls in a dance troupe getting sick. It's hard to describe the film since the whole thing is very mesmerizing but that's why this is such an effective and attention-grabbing trailer - all the quotes are excellent and I love the way it plays without any dialogue, only sounds from the film and the very eerie music. Even if you don't know anything about this, give it a look - it's worth watching. I've seen the film and definitely recommend it. Eleven-year-old tomboy Toni is bewitched by the tight-knit dance team she sees practicing in the same Cincinnati gymnasium where she boxes. Enamored by the power and confidence of the strong community of girls, Toni spends less and less time boxing with her older brother, and instead eagerly absorbs the dance routines and masters drills from a distance, and even pierces her own ears in an effort to fit in. But when a mysterious outbreak of fainting spells plagues the team, Toni's desire for acceptance becomes more complicated. The Fits is directed by filmmaker Anna Rose Holmer, making her feature directing debut. The screenplay is written by Saela Davis, Anna Rose Holmer & Lisa Kjerulff. This first premiered at the Venice Film Festival and also played Sundance this year. The Fits opens in theaters starting June 3rd. Looks good! Wonder what the rating is? Quite like the trippyness. It's not mushy at all, it's much more eerie and alluring than anything. It's really hard to describe this film, but I really enjoyed it. Finding your place is so FREAKING hard. So many people I know have chosen to be in some kind of "gang" rather than finding joy in his or her own skin.